Our classic S-Biner design just got a great big upgrade-it locks!The S-Biner MicroLock is the perfect size to hold and organize keys to rings or for organizing other smaller items. And now, with its added twist lever, it also locks perfectly, preventing any unintended or accidental openings. Made of high quality stainless steel, the S-Biner MicroLock features a center lever made of durable plastic--a simple twist effectively and securely locks the gates, and keeps them that way until you twist it open again. Great for removing a single key from a ring to take on a run or ride, give to your mechanic, or leave for a friend. 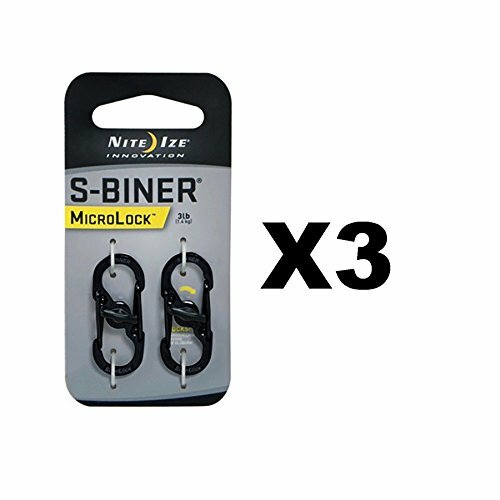 The S-Biner MicroLock is versatile, convenient, and ultra-secure.